Today we led Mass in the hall for our parents and parishioners on the feast of St. Ambrose. St Ambrose was a lawyer from Italy in the 4th Century. He was a Governor of the council of Milan...until a remarkable event changed his path. 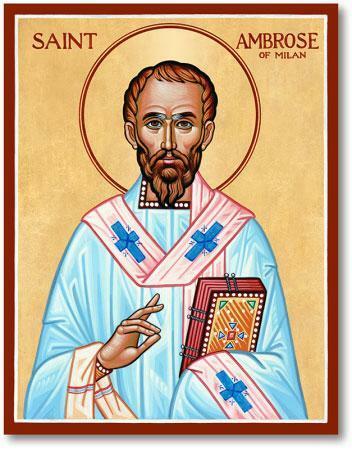 St. Ambrose went to witness the appointment of a new bishop in Milan and (despite the fact he had not been baptised) the crowd all started to call and demand for Ambrose himself to become the next bishop! At first he did not want to accept but within a week he answered this call: getting baptised and then ordained. Today we think of all of those who have found the strength to do something they didn’t think possible.